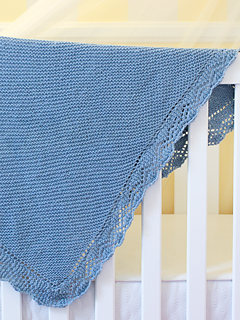 The Bibbidi Bobbidi Blanket is a simple knit baby blanket with an enchanted double diamond lace edge. Fit for a prince or a princess, when knit in our Ewe So Sporty yarn it is easy care for their king and queen. 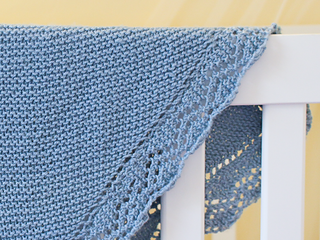 Gauge: 15 sts to 4” in garter stitch.